I simply adored this month’s Paper Pumpkin kit. It was SO adorable with a shabby-chic and vintage vibe. I only made one of the two designs from this month’s kit, and fell in love right away! I wanted to share a few photos of the card I created, and a quick time-lapse video from putting together this card and envelope. 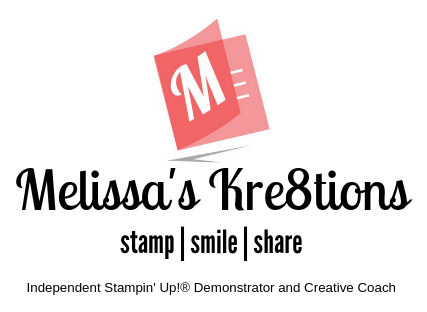 The colors from this month’s kit were so well coordinated, as it is with all of Stampin’ Up!’s products. I really love the pink and purple colors together mixed with the gorgeous neutrals of Crumb Cake and Early Espresso. These colors really complimented the project. The card was very simple to put together. I used the included stamps for the corner images on the pink background as well as the sentiments on both the card and the envelope. (The card is on the right, envelope is on the left.) The floral and leaf images were already printed on paper. All I had to do was pop them out and glue them down! This kit also included some beautiful Fresh Fig ribbon and pearl embellishments. I love how easy it is to have a monthly kit delivered to my mailbox. Every month, I have at least 8 projects that I can create quickly and share with my family and friends. The kit includes everything I need to make beautifully coordinated cards or other fun projects. Plus, signing up for a 3-month or longer subscription in March also earns Sale-A-Bration rewards! So it’s a perfect time to get started with this amazing kit! To learn more, head over to my Paper Pumpkin site, or contact me to talk one on one about how you can use this amazing subscription to jump start your monthly creativity escape! Be sure to come back tomorrow for a super special blog post with an alternate project for this kit!